The Hallite RDA is a double-acting, o-ring energized, low-friction rod seal that performs well in both high-and-low pressure systems. High-performance Armorlene® materials, like HLX, provide outstanding wear and extrusion-resistance properties as well as large range of temperature and media compatibility. 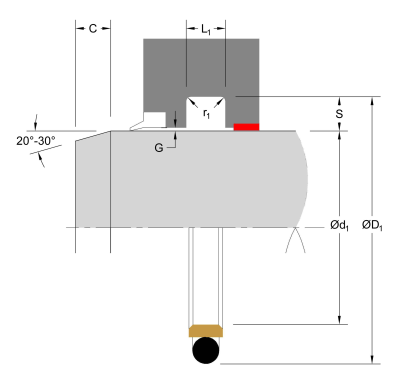 The standard RDA seal face includes pressure notches, which makes the seal very responsive to changes in pressure or direction of travel. Hallite’s RDA seal has been used successfully for years in machine tool, injection molding, and many other industrial applications in both single- and double-acting systems. This design also fits standard ISO 7425-2 grooves and is offered in a wide range of metric and inch options. 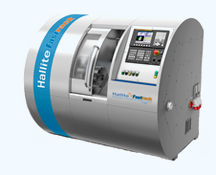 The Hallite RDA, with proper guidance (see Hallite Bearings section), is an excellent long-lasting sealing solution. 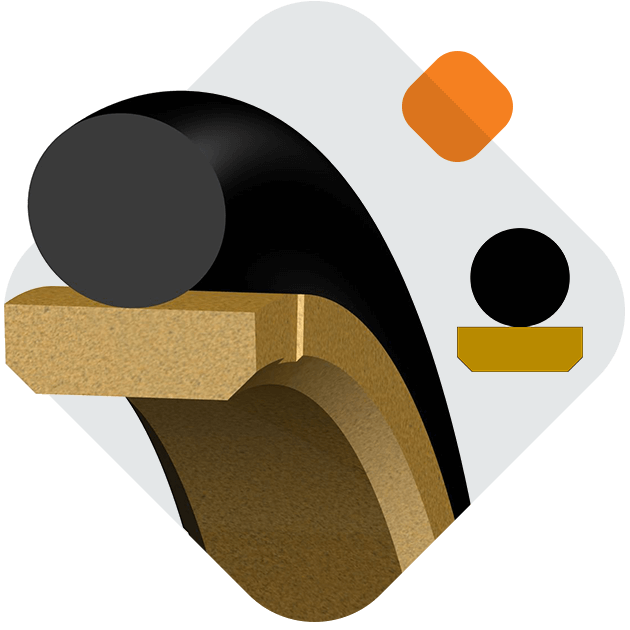 This seal is available in a variety of Hallite’s high performance Armorlene® and Hythane® materials to suit a wide range of demanding applications. The part numbers listed below only show standard material options for both the face seal and energizer, where applicable. For a complete list of the material and energizer options along with part numbering structure, please see the complete PDF datasheet or click RDA Data Tables.